I'm just going to come right out and say it; there's never been a better RPG than Planescape: Torment. 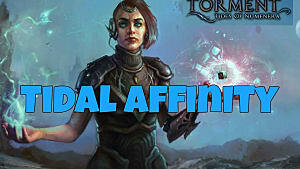 Hell, there might not have ever been a better game period than Torment. Needless to say, when a crowd funding campaign was launched for a spiritual sequel back in 2013, anticipation was at an all-time frenzied high. 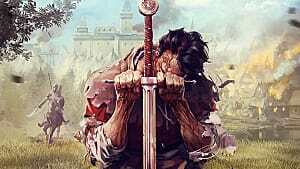 It's been an agonizing wait for the end product, with dread managing to sneak in here and there as questions were raised about team members departing the project and a big shift in style to turn based combat. 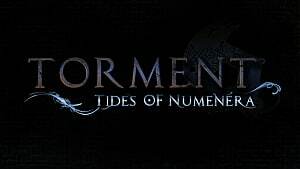 I'm exceedingly happy to report all the naysayers (myself included) were dead wrong: Tides Of Numenera more than lives up to the Torment name and is a stellar successor to the greatest computer role playing game of all time. You know you are in for a completely different experience than the standard RPG when the game literally opens with you falling to your death from the moon. Hey -- InXile had to top waking up on a mortuary slab somehow! While the original game asked “what can change the nature of a man,” this one asks “what does one life matter?” but it does so in a way that shows a great reverence for its source material. As a Castoff -- a body once inhabited by the Changing God that has since gained sentience when he departed for a new host -- you remember things from previous lives much the way Nameless One did in the city of Sigil. 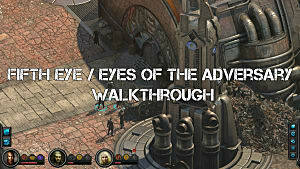 This allows the game to have many of the same basic concepts as its predecessor but present them in the futuristic Numenera setting. The Last Castoff will frequently come across people who knew you as the Changing God, and have a preconceived notion about you based on previous interactions that you had no control over. In another nod to the Planescape origins, your party will come across a series of women who are very clearly incarnations of Ravel Puzzelwell, just like there were throughout the Infinity Engine games. Prepare to also get all nostalgic with odd objects used as weapons that are acquired in bizarre ways or when dying is used as a means of advancing the story. 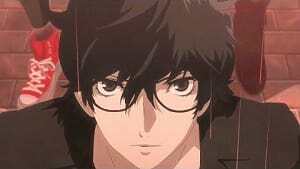 Of course there are plenty of differences present as well, as this is a whole new game in a whole new universe. While the Nameless One was searching for his lost mortality, here The Last Castoff is instead searching for a way to stave off a foe that can permanently kill you. I have to admit I had major reservations about InXile's ability to deliver something on par with the Black Isle classic, but I've been pleasantly surprised at the quality increase on most fronts from the developer's previous classic reboot Wasteland 2 to Torment: Tides Of Numenera. So far I've experienced no random crashes, no major quest breaking bugs, and for me most importantly, there's been a huge fix on the dialog -- an absolute must considering the amount of text in this game. 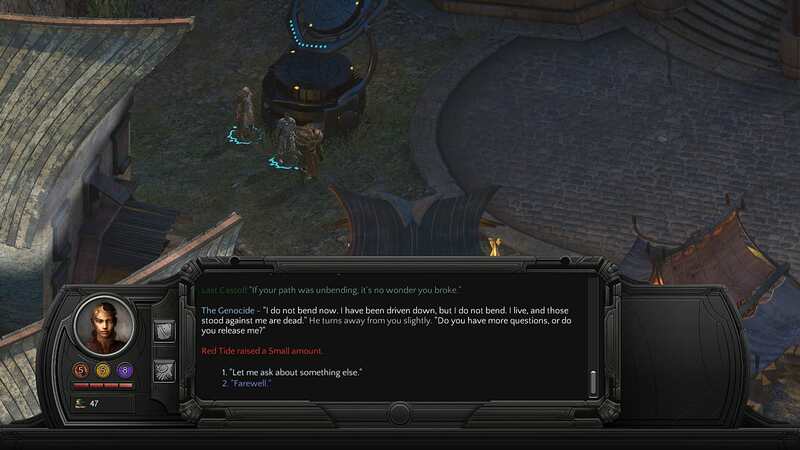 When Wasteland 2 was still in development, InXile liked to brag about that game's huge word count, but neglected to mention that more than half the dialog was repeated from multiple characters telling you the exact same information in slightly different ways. That issue has been more than handily resolved this time around, with much more compelling dialog all around and none of the repetition. 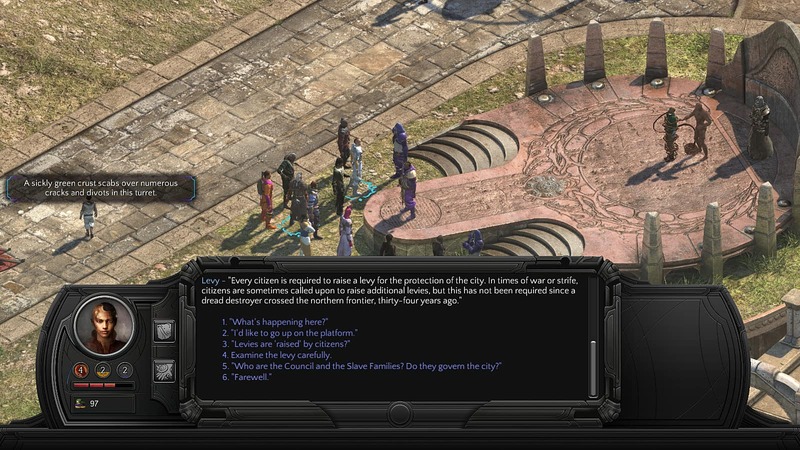 Tides of Numenera has maintained the concept of different areas of a large city serving as the main point of completing quests while exploring, with Sagus Cliffs replacing Sigil for a portion of the game. This time around, it feels more like the game actually reacts to the path you take, however. For instance in the starting area of Sagus Cliffs I made a beeline straight for the cult of the Changing God and with all the bluster I could bring to bear claimed I was in fact that God and no mere Castoff. It didn't go well, and later when chatting with a slaver who actually knew the Changing God, he openly mocked me for my not-so-clever ruse, which made getting his quest more difficult. One issue that seemed to have fans most worried was that the switch from classic real time with pause to turn based combat would be a major mistake, but thankfully it absolutely wasn't. With all the different objects you can interact with, people you can talk to, and combat options available, this system just wouldn't work in real time. 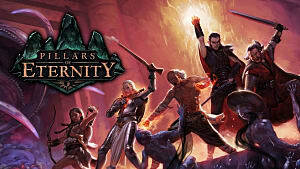 Besides, we've already got plenty of that classic style at the moment with Pillars of Eternity and Tyranny. The combat segments themselves -- known as a Crisis initiation -- are fewer and farther between than in the original Torment, but each one is hand crafted to be a memorable experience with many different methods of resolving the situation at hand. Outside of combat, Tides Of Numenera has taken concepts from the D&D universe and translated them into a new ruleset. One of the biggest departures in Planescape: Torment from any other D&D game that really set it apart from the rest of the pack was in how alignments were handled. Rather than being something you picked during character creation, alignment was determined by your actions and words, and could change over time. That same concept applies here, but with the Tides replacing the alignment system. More than simply good / evil or law / chaos, the Tides instead deal with broader concepts, with Red covering all manner of passions and strong emotions, Blue involving logical discourse and acquiring knowledge, Silver being obsessed with admiration and having your name be remembered, and so on. 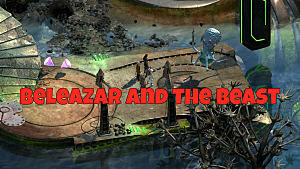 In an interesting example of life impacting art, originally the Tides were meant to be major part of the Numenera tabletop RPG system, but were set aside towards the end of development. While many of Numenera's other core concepts are included -- spending Effort to increase chances of success, having three Stat Pools, etc. -- Tides are present in this computer game version but not in the original tabletop game they came from, allowing you to see into an aspect of the system that was supposed to be there but instead hit the cutting room floor. 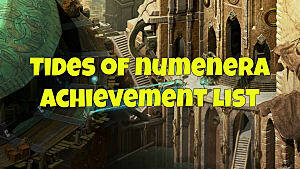 Numenera is a very simplified RPG system, culling everything down to three basic stats -- Might, Speed, and Intellect. 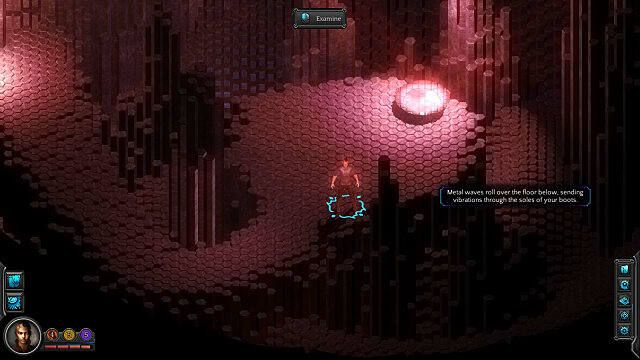 The Last Castoff and his companions have to spend points from these pools to succeed at various actions or conversation attempts, so there's resources to manage, but unlike with other games there's interesting effects to losing. Unlike with Wasteland 2, It's not a situation where you always want to have full stats or save and load when you fail at something. Overall, Tides of Numenera is everything a Torment fan could want, and it will strongly to bring to mind everything that was loved about that earlier game. All these years later those oddly offbeat characters are still remembered fondly, and Tides rises to the occasion with equally memorable companions, like Callistege, who is constantly shifting from place to place as she exists in multiple dimensions at once. There are a couple of minor quibbles here and there (the Fifth Eye Tavern for instance goes beyond homage into outright copying the Smoldering Corpse Bar), and the character animations are a little choppy. InXile did a great job of creating the Ninth World in digital form in terms of color, style, and atmosphere, but on the whole the character models are better in games like Tyranny and Pillars. 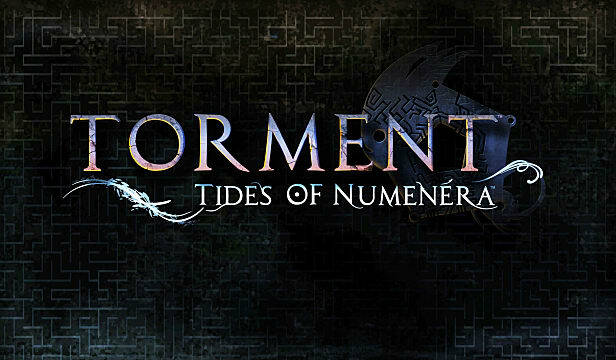 That being said, fans of Torment won't be disappointed exploring this new iteration, and there are even some unexpected twists for people who are very familiar with Numenera's setting. For those who prefer a text-heavy role playing experience that focuses on story and characters over open world and combat, there's no question Tides Of Numenera will be the best RPG of the year. 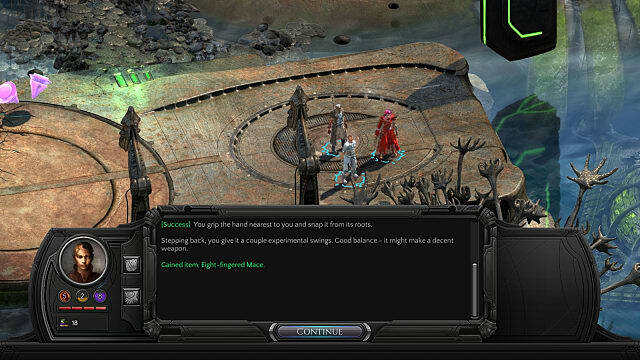 InXile defied the odds and delivered a truly worthy successor to the oddity and wonder of Planescape: Torment.